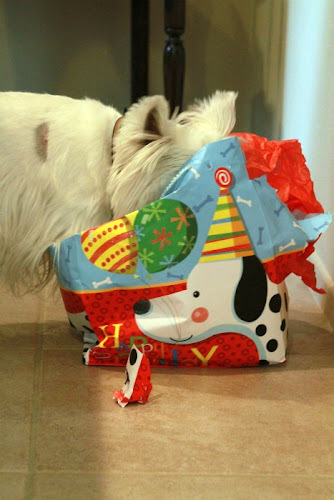 The White Dog Blog: A bad day gone good! That looks like one bag full of fun. The ball is almost to big for your mouth but I know you can handle the challenge. The Fedex man is your friend? We still bark even when we get presents. What great presents. Your Dad will OWE you some ball time when he returns. 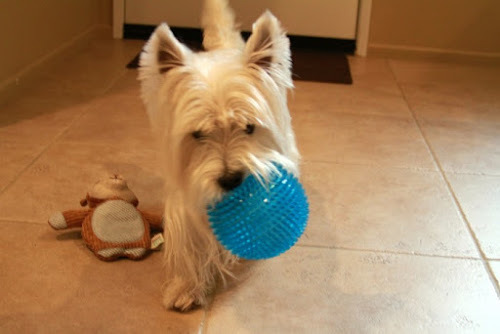 Ohhhhhh, my kind of ball Duncan, lets meet and go chase it around. Nothing better then your sweetie sending you stuff, always makes a day great! Oh yah!! 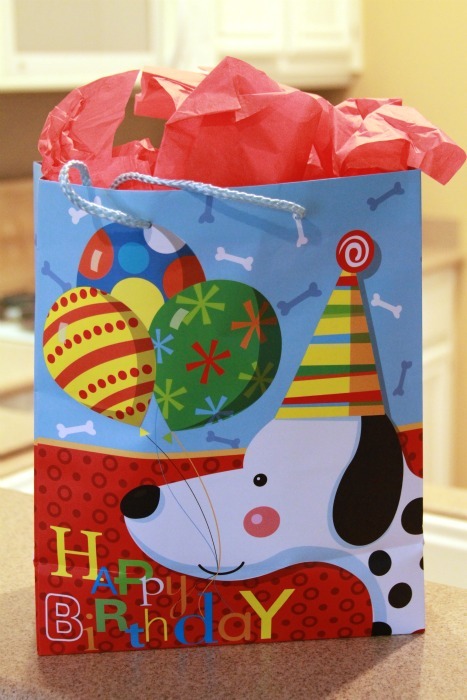 A gift bag can make anyday better!! what fun toys!! Us dogs can turn around our mood pretty easily can't we? Me too!! That looks like a 'Bag-o-Joy'!!!! Sorry abouts your Dad's bein' aways, butts this should keep you busy til' he gets back! It's your barkday too? Happy barkday! Hi and thanks for visiting me. 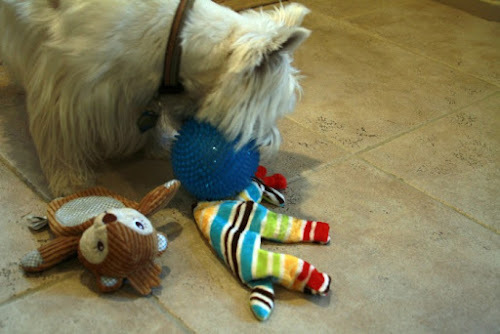 I love mail pressies, they are the best and you got some cool stuff to play with.